Only weeks after a series of robberies and threats to elderly residents occured at the Commons of Grace apartments on Tidwell Road, Houston Police and Channel 2 News have reported another brutal attack and robbery of a resident. This follows promises by management of increased surveillance and more security guards for the complex, as well as changes in locks and gates. In the most recent incident of crime, it is alleged that four men accosted an elderly man, Percy Gipson, as he returned from work at 3:30 am on Friday July 27. He was allegedly attacked with a hammer in the hallway of his apartment building, beaten and robbed of his wallet, keys and a gun. According to his grandson, Damil Gipson, visiting his grandfather at Memorial Hermann Hospital emergency room, Gipson suffered a fractured skull and was bleeding from the brain. Regional property manager for NPR, the manager of the apartment complex, Maritza Miranda told Channel 2 that they are Òbeefing up the patrolÓ and working with authorities to stop the crimes. She said they have surveillance video that may show the perpetrators of the attack, and this has been given to the police. 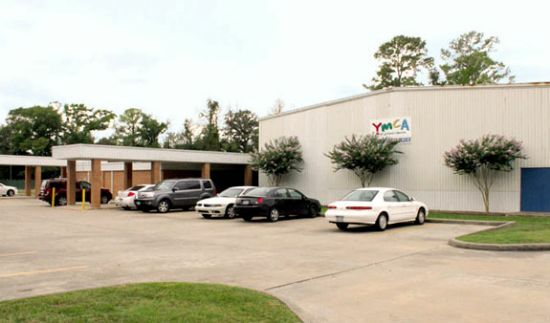 It’s a building that’s almost impossible to find, nestled literally on the offshoot of a long and winding road, but somehow the Northeast Family YMCA has become an indispensable part of the North Forest community. “The YMCA plays a big role [in these people’s lives],” day camp director Jared Hale said. “We cater to the children, but we have senior citizens who love the program. We have teens that love the program. We have people who are involved in the program and don’t even know… Whether they know it or not, they’re contributing to the YMCA and we’re contributing back to the community. Walk into the Northeast Family YMCA on any given day and you’re likely to find community members of all ages, from toddlers to seniors. Currently, the Northeast Y has 330 memberships, which means that an average number of 1,000 or more individuals pass through the building each month. Community Executive Director Demetta Landry says the Y prides itself on being a place easily accessible to anyone. The Northeast Y offers a variety of programs and classes, ranging from swim lessons and sports for the youth to aerobics and line dancing for adults. 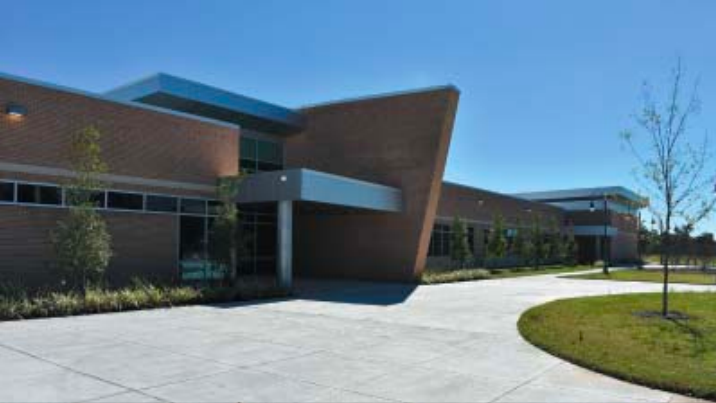 The building itself houses a number of facilities including an outdoor pool, a multi-purpose gym, two fitness centers and a playroom. During the summer, the Y offers a day camp for young teens and kids as young as 3 years old, which Landry says is immensely helpful for parents who may have to work during the daytime and need a “safe place” for their kids. The Northeast Y isn’t only focused on accessibility in terms of age either. Although the Y relies heavily on membership and class fees, Landry says it is constantly seeking out new sources of funding to be able to provide financial assistance to those in need, whether it’s through United Way dollars or the Y Partners Campaign. The Partners Campaign works to raise money from board members, benefactors, Y members and staff to allow everyone to participate in the Y, even those who can’t afford the membership. Currently, through the Partners Campaign, the Northeast Y does apartment outreach at Haverstock Hills Apartments, which was once considered the most dangerous complex in the Houston area. Through the program, the Y provides a variety of sports and enrichment activities to more than 700 youth who live in the complex. But for Landry, who has worked at the Northeast Family YMCA for almost 28 years, this relationship isn’t a one-way street. She says the community has changed her life just as much as the Y has changed theirs. 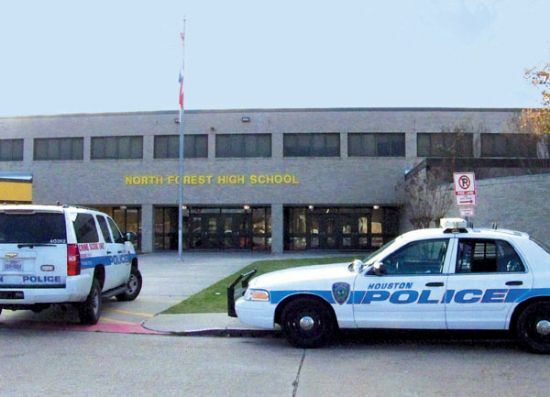 According to North Forest High School principal James Troutman, this year’s graduating class of 239 Seniors has a number of outstanding students, that are well prepared to continue their education at top tier colleges throughout the state and nation. Students at North Forest High School are beginning to receive acceptances from colleges they have applied to this year. In a recent series of interviews, the Northeast News learned about some of the top students in the graduating class, and what their achievements and goals are for the future. Sarah Taylor is interested in film, and plans to continue her education at either NYU in New York, or UT Austin in their Communications program. Her interest in file and theater is life long, and she looks forward to learning more and a career in this field. Last summer she was able to further her interests by participating in a 5 week summer course in film at the University of Houston. She learned to do editing, camera work, directing, and scouting locations. At North Forest, she is president of the theater group and a technical director, but admits she doesn’t like acting as much as the technical aspects. She has recently directed a one act play, “Charity Case” for the UIL competition. Sara is also making a one act movie, 7 to 10 minutes long, of Shakespeare’s MacBeth, albeit a modern adaptation. Sara is graduating number 5 in her class of 239, and her philosophy is to make the best of what you opportunities have given you. She is also vice president of the student government association. Claiborne Jones is an athlete as well as a scholar, and interested in chemical engineering for his future. He has been accepted at UT Austin, and exhibits an extremely positive attitude. He is already a longhorn fan, and plays NF football as a wide receiver, and is captain of the baseball team. His engineering interests stem from his involvement in the NSBE, or National Society of Black Engineers. He recently returned from a conference of this group of students, and served as board member. This group is very active at North Forest, thanks to the teacher, Ms. Valencia Dutton, and the support of Shell Oil Company. His advice to other students is to stay in school, and get involved in your community. Rayshanda Massey is also interested in engineering, and has been accepted at Texas A & M. She will major in either industrial engineering, or Early Childhood Education. Rayshanda is another member of the NSBE, and went to the St. Louis conference, where she was elected a vice president. She indicated that North Forest High School has an Engineering Design Presentation class that has been influential in developing her interest in engineering, with computer work and AutoCad experience. She also participates in the Dual Credit program offered by HCC-NE at North Forest, gaining college credit in English. Rayshanda’s interests include ROTC, captain of the majorettes, and a program at TSU of the national Upward Bound experience. She has participated in this for 3 years, taking pre-calculus and visiting other colleges as part of the program. She said there are 5 students from North Forest currently in the Upward Bound program. It would seem that this comment could well apply to all three of the outstanding students presenting themselves from North Forest High Schoool. NORTH FOREST– The public and the District held a celebration party Thursday night, heaping praise and accolades on the newly appointed permanent Superintendent, Ms. Edna Forté. Several board members, past and present, and the HCC-NE President, Margaret Ford Fisher, wished Forté well in her position. Unfortunately, by the next day, Friday, the happy thoughts had turned sour, when the District received a letter from Texas Education Commissioner Robert Scott, informing them that a Final Decision had been made, and they would be dissolved as of July 1, 2012. At that time, the Houston ISD is ordered to absorb the North Forest district and its 7500 students, according to the letter. Scott’s letter was not entirely unanticipated, but the District has maintained all year that they would be able to correct the long-standing academic and financial problems, and get TEA approval. Public statements rebutting the closure notice were immediately issued by Superintendent Forté and Congresswoman Jackson-Lee. The community, with the strong support of Congresswoman Sheila Jackson Lee, has waged a campaign to save the district from closing. In fact, an “Education Town Hall” was held after the NFISD fete Thursday evening, as Lee returned from a meeting in Austin with TEA. Another meeting Sunday afternoon, at 3 pm in the Shadydale Elementary school, continued organizing the community support against the TEA decision. In his 8 page letter to the District, Scott cited the district and the high school for a 2011 rating of Academically Unacceptable (AU), and further noted that this was the third consecutive year for the district, and the sixth consecutive year for the high school. He continued that the district earned a substantial financial accountability rating for the fourth consecutive year. The letter contains a long and detailed list of deficiencies that the TEA Conservator assigned to the district has identified. Scott indicates that most of these have not been solved satisfactorily. In regard to previous academic accountability ratings, Scott notes that on Nov. 2nd that appeal was denied. Scott states that “This order will annex the North Forest ISD to the Houston ISD effective July 1, 2012. Scott also notes that the annexation must be precleared by the US Department of Justice, under the National Voting Rights Act of 1965. Jackson-Lee said that the TEA Commissioner based his assessment largely on the two years when NFISD was under the control of TEA and their conservator. Members, sponsors and supporters of the Houston North Forest Chamber of Commerce gathered at Eden Event Center,7450 North Wayside, on Nov. 8 for a “Visions Gala Day”. Judge Zinetta Birney, guest speaker, said education in North Forest is a priority. North Forest Superintendent, EdnaForté, as well as some elected officials and Houston Community College-North Forest were among the list of recognized guests. Congresswoman Sheila Jackson Lee reviewed some of the President’s Obama plans; the American Jobs Act and tax cuts to help American’s small business hire and grow. To know more about this act, you can go to www.whitehouse.gov/jobsact#overview. Houston North Forest Chamber of Commerce has its monthly meeting every 2nd Tuesday of each month. 713-670-7500. More pictures on page 8. 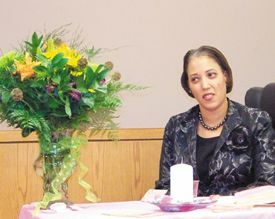 NORTH FOREST, October 18, 2011–The Board of Trustees of the North Forest Independent School District Monday named Edna Forté as Superintendent of Schools. The Board’s vote was unanimous. Forté has been Acting Superintendent since March 2011. A visionary and progressive leader, Edna Forté has worked aggressively to implement academic reforms that increase student achievement in urban public schools. Her leadership philosophy recognizes the need to establish meaningful relationships, maintain open collaborative lines of communication, and focus the collective efforts of the entire organization on outcomes that serve the best interest of all children. During her tenure in the North Forest Independent School District, Forté has facilitated a number of innovative initiatives aimed largely at advancing pathways to graduation. Specifically, she worked to obtain a multi-million dollar transformation grant intended to unite high school stakeholders around a common vision and common goals. In addition, she collaborated with external partners to acquire a grant to assist the district in lifting the YES Prep North Forest Charter School purposed to create innovative new secondary school choices within the district. Forté possesses over 20 years of experience and has an extraordinary breadth of knowledge and expertise. Her educational career began in the Alief Independent School District. 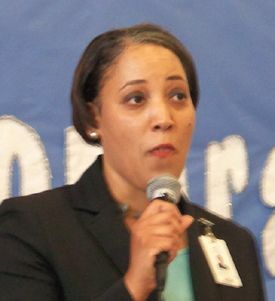 She later transitioned to the Houston Independent School District where she held several impactful positions including Literacy Specialist, Principal, and Regional External Funding Supervisor. In 2006, she joined the North Forest Independent School District as the Director of Federal Programs. She was subsequently promoted to Executive Director of Federal & State Programs in 2008 and became Acting Superintendent in March. Edna Forté is affiliated with several professional organizations including the Texas Association of School Business Administrators, The American Leadership Forum, Houston A+ Challenge Executive Leadership Council, and The National Leadership Institute. In 2011, she was recognized by the Texas Black Caucus as an Outstanding Community Leader Honoree in recognition of her contributions to building equitable and diverse communities. The North Forest community continues to respond to last week’s surprise announcement from the Texas Education Agency, ordering the closing of the district after the 2011-2012 school year. Several meetings have been held to organize a petition drive, and a letter to Governor Perry seeking a reversal of the ruling from TEA Commissioner Robert Scott. Meetings on the subject include the Public Community Meeting on Saturday, July 16th called by Congresswoman Sheila Jackson Lee; the NF ISD Board Meeting the following Monday night, July 18th; and a NEEF meeting on Thursday night, July 21st. Other meetings are scheduled for July 25 at the Community Center, and Aug. 4th for the next NEEF meeting at Shadydale. 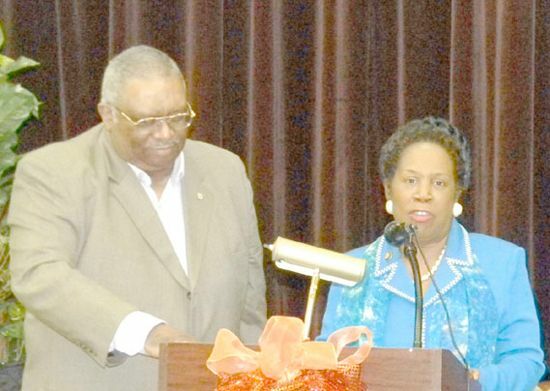 In a well attended meeting last Saturday, July 16th, Congresswoman Sheila Jackson Lee suggested that the district and its majority African-Americans were being treated with discrimination, not like white majority districts with similar problems. She urged the public to decide whether they wanted to save the district and the community’s separate identity, and suggested they conside filing a civil rights lawsuit with the federal authorities if necessary. She also promised to help with federal agencies that may have jurisdiction, such as the U.S. Attorney’s office, and the U.S. Department of Education. Other state legislators and local officials spoke in support of the district. In a meeting held last Thursday night, the superneighborhoods that are involved with NEEF- Northeast Education First, held a rally and organizational meeting at Shadydale Elementary School, where about 100 persons from the community attended. They listened to a presentation by Edna Forté, acting superintendent of the district, and statements of support from some NFISD Trustees. Forté made a strong presentation, reviewing improvements in the management and educational achievements of the district. Forté said that the district was now solvent, with budget cuts of $4.6 million in the teaching staff, another $700,000 in additional staff cuts, that would result in a fund balance in 2012-2013 of $2.7 million. She reminded the group that the high school was the recipient of a $5 million federal grant to make changes and improvements, which are underway. Also, with the YES Charter school existing as part of the District, the results can be used to average an improved accountability rating in the future. She also revealed that several nationally renowned educators, specialists in reforming problem school districts, had agreed to come to North Forest in the next school year to help. These included Pedro Noguera and Ervin Knezek, and perhaps several others. She introduced the new interim principal for North Forest High School, James Troutman. He spoke briefly, describing how he is already holding teacher training every week, improving the physical condition of the school, including cleaning, and conducting a search for new highly qualified teachers fully certified in science and math. Forté said that she has contacted TEA asking for a meeting to discuss the letter and her plans for improvements. She said that to date, she has received NO response. However, on August 1 school ratings become official, and she thinks she will get a response after that date. 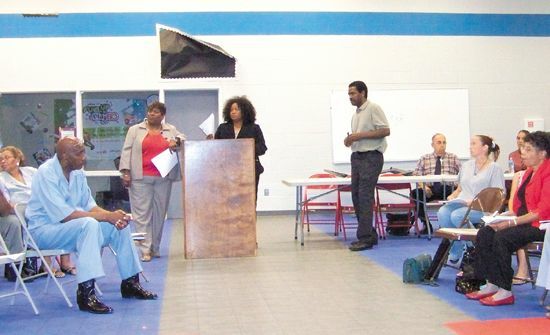 Board member Lois Edwards and Thadeus Seals also addressed the audience, with specific criticisms of the TEA and their board of managers and their superintendent. She said that in the two plus years that they controlled the district, the high school had no improvements and no new programs. Seals spoke about the history of students that had attended school at North Forest over the years, and the success that many of them have had in their careers and lives, due to their education at North Forest. His message was that there was no reason why the District could not continue to educate the children in a satisfactory way. Edwards also said that spending by the superintendent and the managers during their two year tenure was excessive, and the budget was not brought under control until Forté was appointed. The NEEF group took a vote to see if the audience wanted to support efforts to keep the district open, and the vote was 48 in favor, and 0 against. The group is organizing a petition drive, to get 7500 to 15,000 signatures to send along with a letter to Governor Perry, requesting a reversal of TEA’s closure decision, and allowing the District to remain open.